The 'folk' section of the new Rowan Magazine 54 slayed me this season. You guys know that I am a glutton for colorwork! Are you like me and get a ridiculous unexplainable fever when you read through a new magazine? Does your adrenaline hike up Mount Everest? Is there a tickly tingle in your fingers? Do you throw away all previous plans for the evening and start maniacally sifting through the stash that is so beautifully organized in your closet... uh... mind? This fever directed me to make Armenia IMMEDIATELY, do not pass Go, do not collect $200. You see, I knew I had enough yarn in my mind Rolodex. 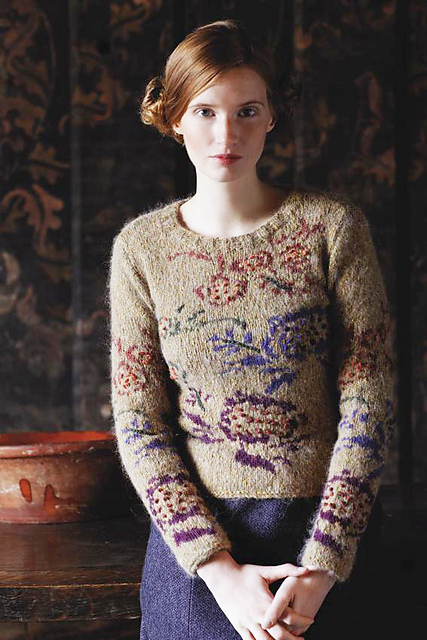 The pattern, by Marie Wallin, is for an intarsia pullover made with Rowan Frost and Rowan Kid Classic accents. 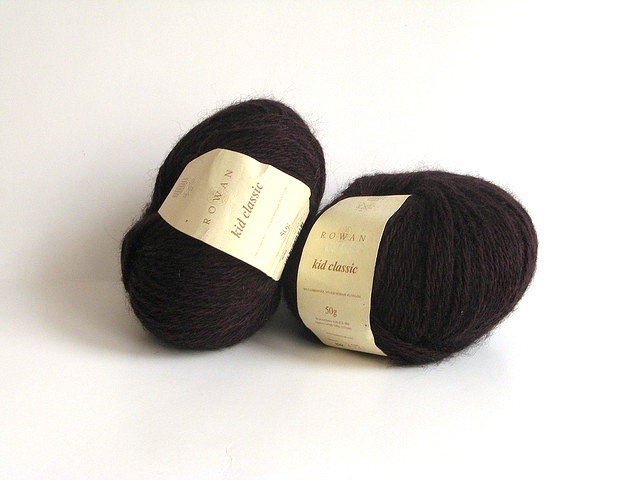 I decided to use Rowan Kid Classic for the background, as it is my all-time favorite yarn. I "unearthed" a bag of Kid Classic in Peat (lol) and put it near the doorway in wait for the postman. 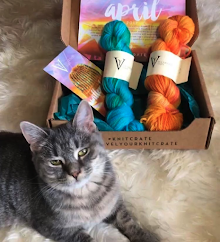 For the accents, I went back to my old stand-by amazing color palette from my stash of discontinued Rowan Kidsilk Aura. I have tons of small pieces of color from my Sofia Wrap. As my friend Jen commented, "The Sofia Wrap, the project that begot all others." 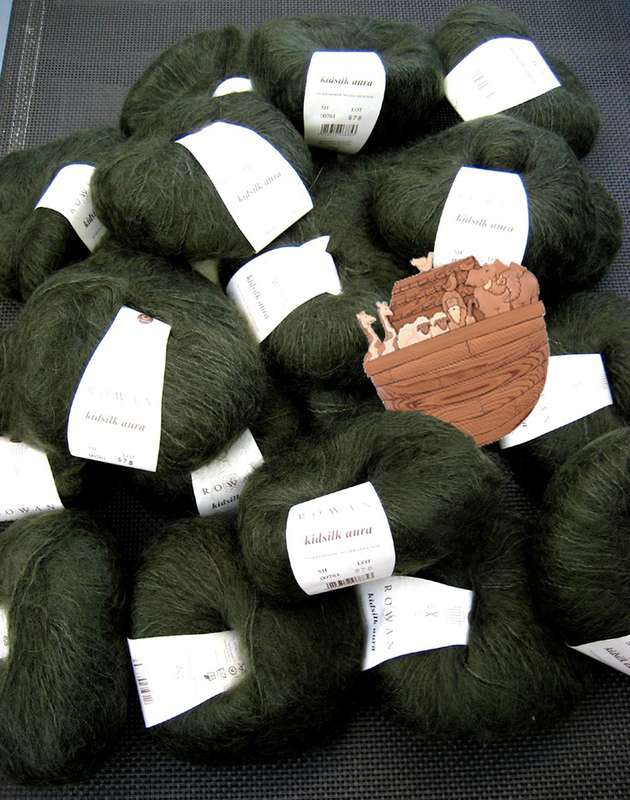 This is apropos, as I have a biblical flood worth of love for this yarn. Rowan has this new thing, that I don't like, where everything is organized by a range of sizes that is, of course, not my own. Boooo! I'm a 34-36, and frankly, I think that is a REALLY COMMON SIZE. My suggestion to you Rowan users out there: do a quick calculation of the width of the piece by the number of stitches you cast-on. This will tell you the actual intended width, and thus the 'ease' of the garment that they recommend. I can understand how you can't please everybody with sizing, but it would help enormously if Rowan could at least state the size used on the model for comparison. We see this in all sorts of knitting magazines, right? 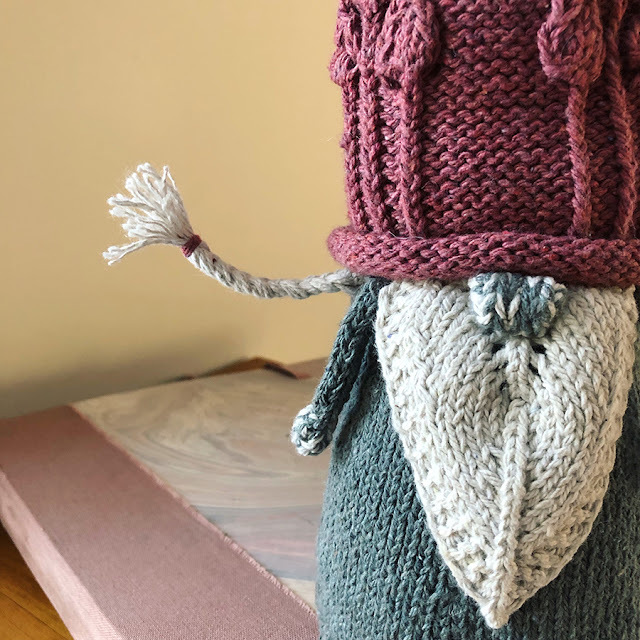 Here is an interesting post by Marie Wallin, Head In House Designer for Rowan, about models and current sizing in Rowan publications. So, I actually cast-on 79 sts, something in between the two first sizes. That's the easy part. Then, for the armholes, I had to fudge something in between. That's not so easy. 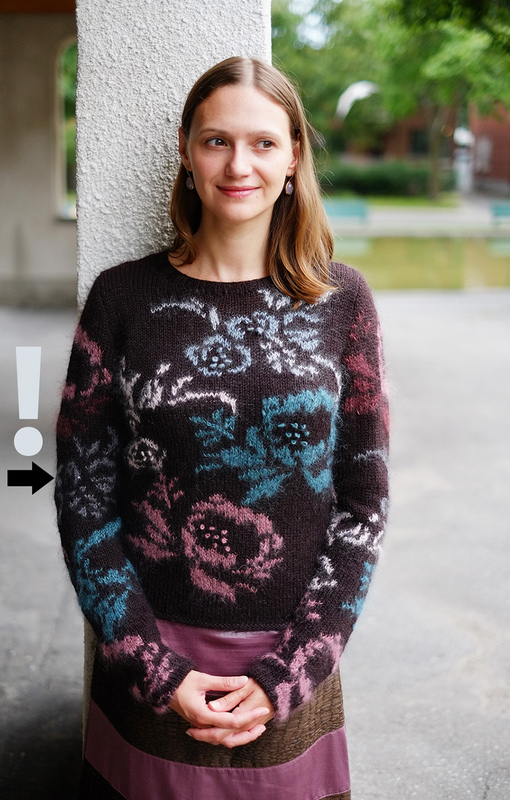 Also, what is with all the cropped sweaters? 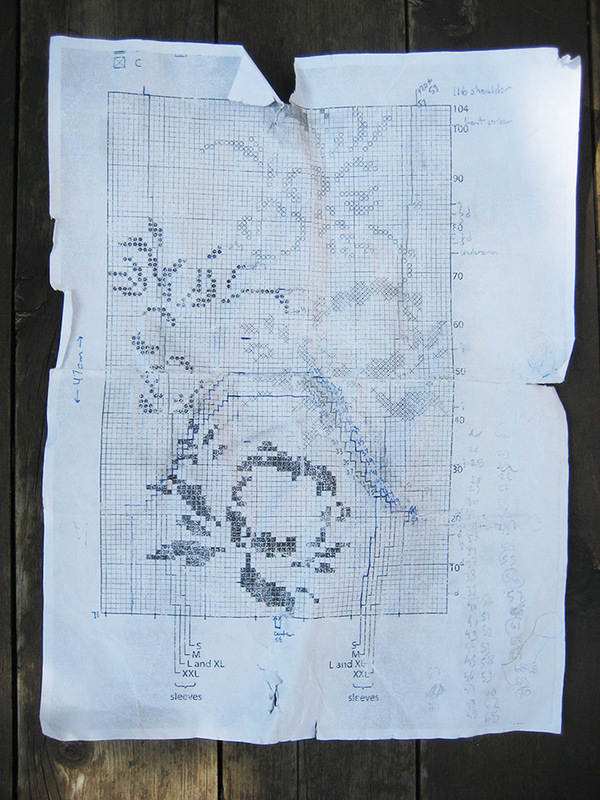 I knit 2 extra garter border rows and 8 extra rows before starting the intarsia chart. It's still to short, in my opinion. Another mod was required to account for the fact that arms are always longer than torsos, and should not have the same charts. I had to steal a whole rose motif and add it to the top of the chart so that I would avoid awkward empty spaces above and below. Another mod: It was like Goldilocks and the Three Sleeve Caps on this thing. I tried to do the sleeve cap top down, but it was way too short. Now, one reason for this is probably that a 'make 1' top-down is much tighter than a k2tog bottom up, because you have to tighten yarn that is already there, instead of supplying new yarn. My new brilliant fix: if you make a yarn over in the row before the 'm1', you'll have plenty of yarn to work with for the increase! "What?! This sleeve cap is too short (furrowed brow)." "$%#@! This sleeve cap is too wide (throws it across room)." "Christ on a cruise! This sleeve cap is just right (sigh of relief from husband afraid of knitting needle launched into eye)." You could ask me what I actually did with the sleeve cap... but then I'd be trying to read this chart that was erased 5 times and blew into a lake twice. 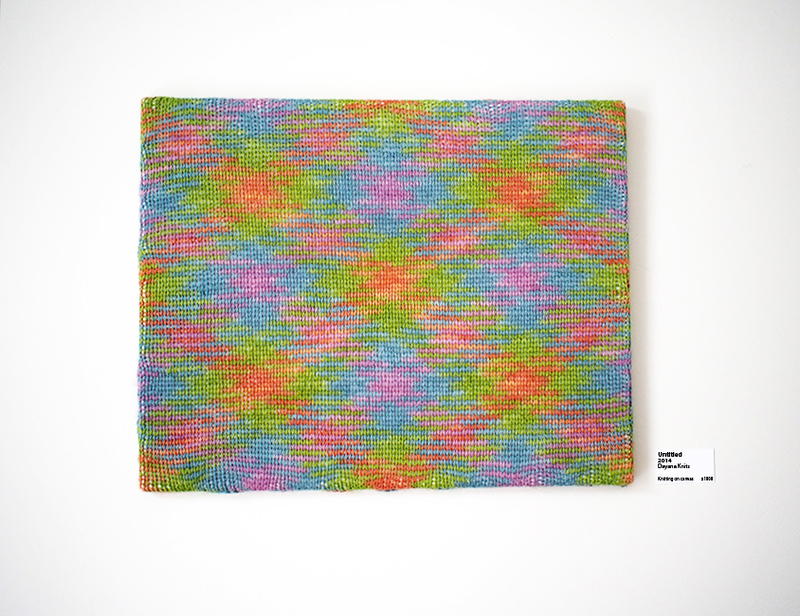 This beauty is made with intarsia. 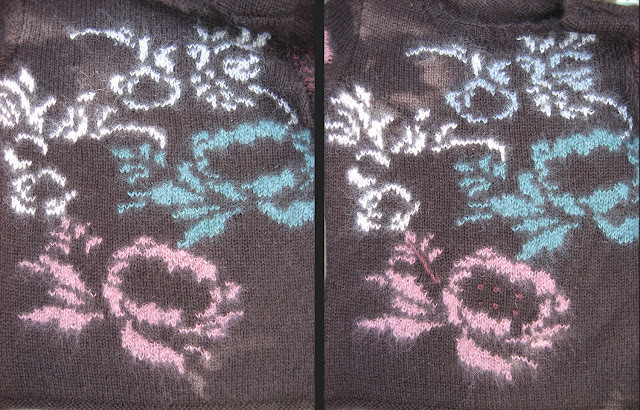 That colorwork technique where you switch colors as you reach a motif, instead of carrying the unused colors at the back of the work. Well, I cheated, and I suggest you do so as well! 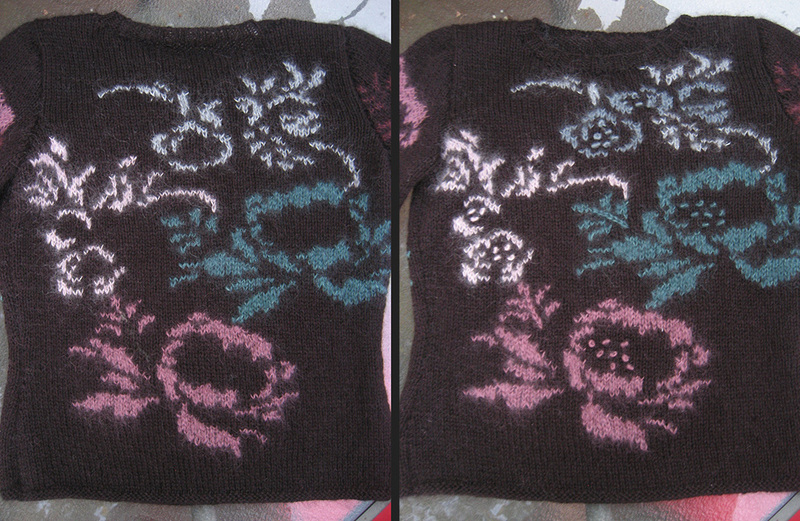 I did a combo of intarsia and carrying colors. Basically, I never cut the background color... 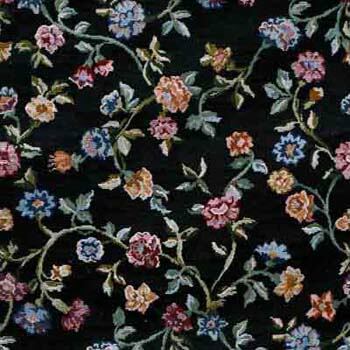 I would just go until a motif, pick up the bobbin and strand with the two colors until the motif was done. I used about 4 bobbins per motif. Here is what the back of that looks like. Sometimes I used two colors. There's a lot of embroidery in the middle. A part of me didn't want the embroidery, and not just because of laziness. I liked the abstract flowers. And I didn't want it to look to like a tapestry you should hang on a castle wall. But if I didn't try it, I knew I'd always wonder. And here is my Armenia(n) knitting lesson for you: always try something before scrapping it, even if you don't think you'll like it. You may be very surprised. 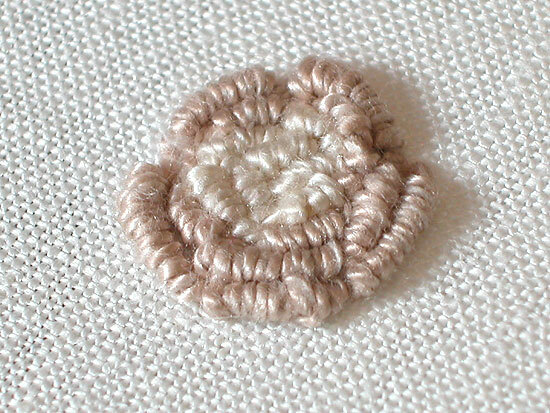 My first attempt followed the pattern which mentioned 'french knots' in the flowers and 'chain stitch' stems. 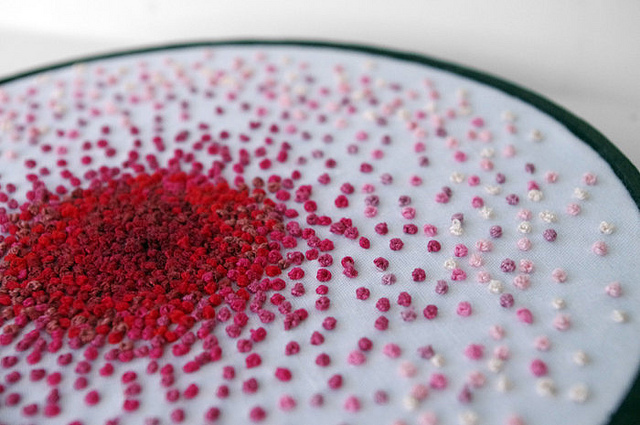 French knots can be gorgeous... but they are rather small. My attempt was truly awful. Not enough knots, too small, and the color was wrong. I was this close to nixing it, but the veterans of my Rowan Love group on Ravelry convinced me to try again. 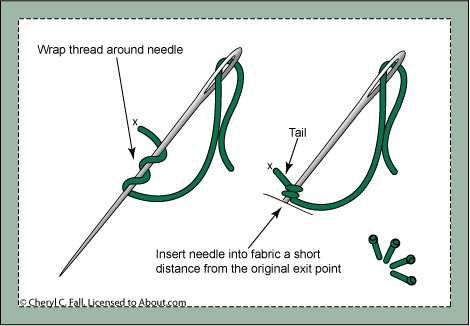 They said, no no no, do 'bullion stitches' and make smaller stem stitches! 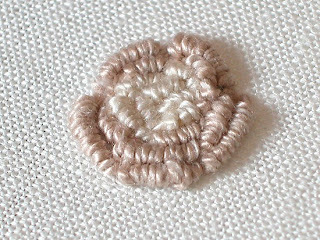 Bullion stitches are really just french knots with a lot of wraps. They are like little worms! So I tried, for real. I made little curled caterpillars and tiny delicate stems. And, what do you know? I preferred it, I really did. But YOU try doing bullion stitches with mohair! Ugh, my fingers were raw! I decided to only embroider the front, and I did a sort of asymmetrical rose embellishment, claiming 'artistry' to all my friends. 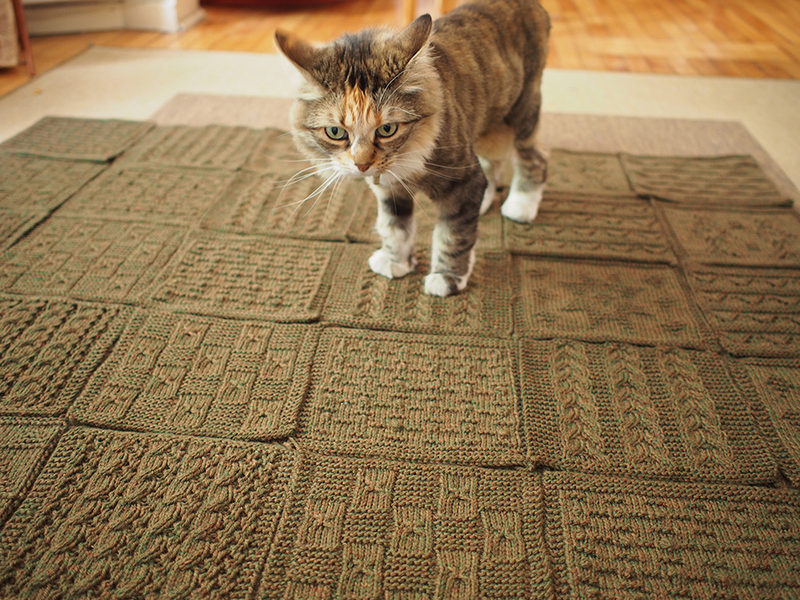 You really should check out the other amazing colorwork patterns in Rowan Mag 54. I hope to show you two more of my favorites in the future! Wow! How fantastic does this look? I prefer yours to the one in Mag 54. It's beautiful! I love intarsia so much, it's the prettiest kind of knitting and so perfect that you can make flowers. The fit is perfect too, I love this! I just found this beauty while reading my way through your older posts. 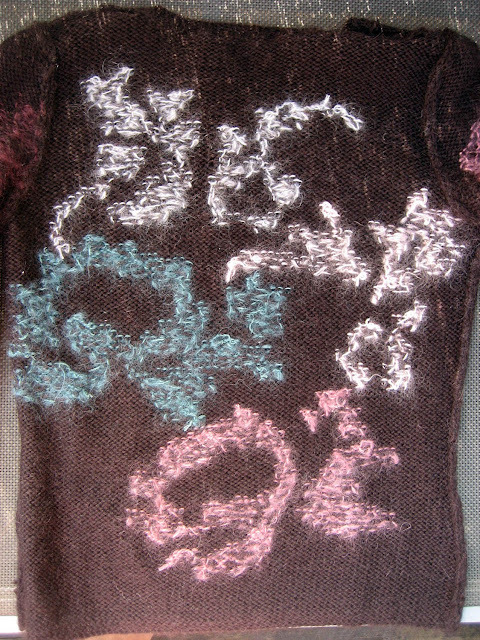 Your combination of stranded and intarsia technique is the best way to handle projects with small-to-medium motifs, I agree. 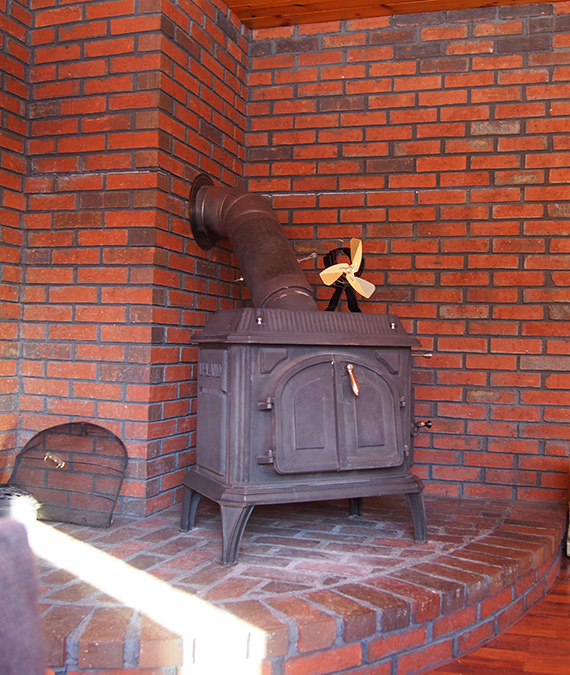 Sasha Kagan recommends it, too, and her designs practically demand it. 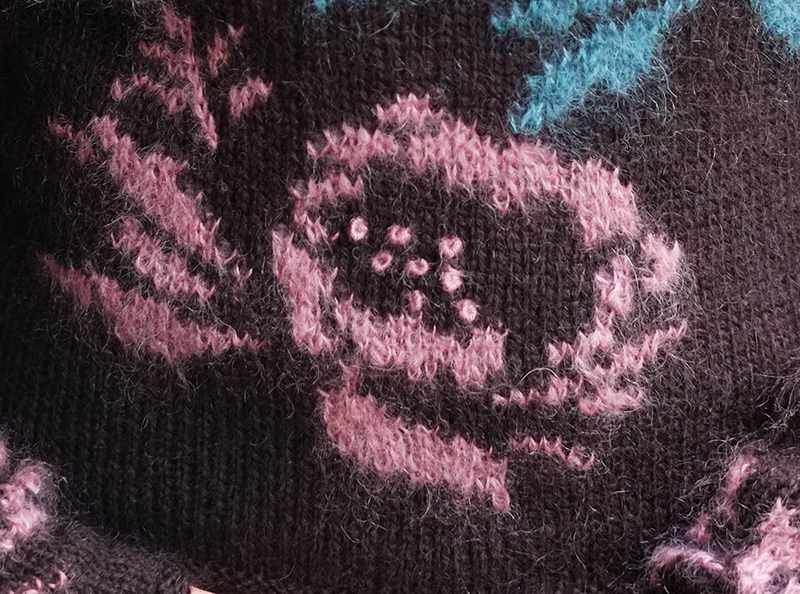 Glad you found this old post because I can satisfyingly report that I love this sweater so much and I wear it all the time. The Aura definitely pills though. It's really overly luxurious yarn, I'm glad that most of the pull is Kid Classic. As for the combo intarsia/stranded, I'm not sure there is any other way to save your sanity, lol!